Have you ever wondered about if there are other uses for tea, other than just a delicious cup of calm and tranquility? Thanks to the many antioxidants and health benefits found in certain teas, blends are versatile enough to be used in a variety of DIY beauty and home products. With our commitment to sourcing only the best in organic teas, you’ll be using some of the most premium tea you can get your hands on. With Spring having already sprung, it’s time to freshen up and put our loose leaf teas to work! Whether you’d like to look more fresh-faced or simply feel a little more relaxed, we’ve got a few simple and cost-effective ways to get the most out of your favorite Dollar Tea Cub blends this Spring! 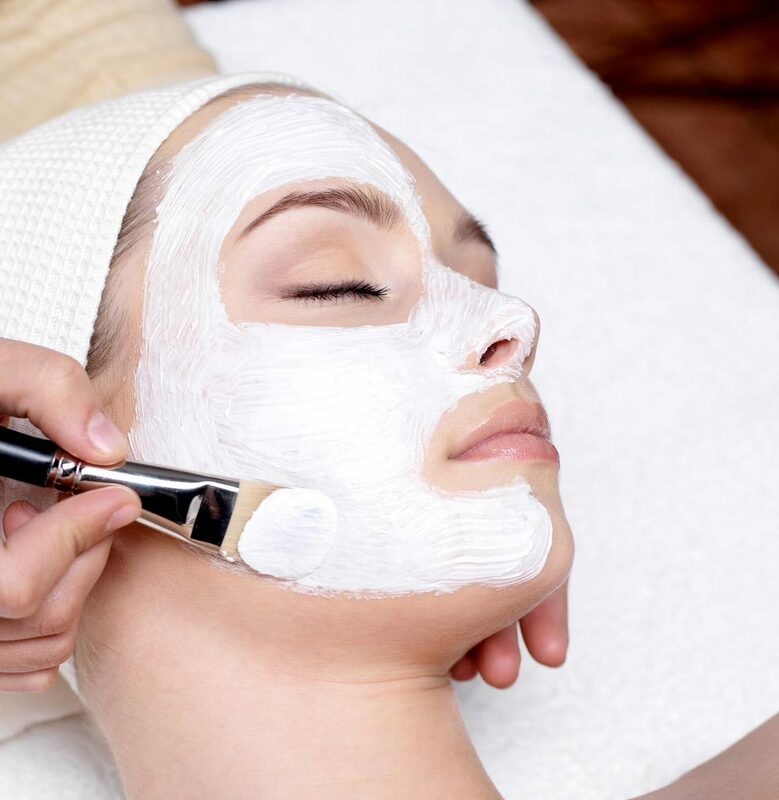 The typical face mask today can be both expensive and inaccessible, with many of us turning to DIY solutions for dewy complexions and clearer skin. A wonderful (and natural) alternative to conventional face masks is loose leaf tea! Using your favorite Dollar Tea Club blends, or choosing from our large selection of premium loose-leaf teas to try something new, you can give your skin a quick pick-me-up with simple DIY face masks. Botanicals skin care has been around for quite some time, to try it yourself follow these simple instructions. Green tea, for example, is going to be one of the best blends to use as a face mask, as it contains antioxidants and is known to detoxify the skin. There are many variations of green tea face masks, but a very simple one is made of only two ingredients: green tea leaves and honey! Grind 1-2 tablespoons of Sencha Organic into a coarse or fine powder and mix with an equal amount of honey. Apply to your skin and leave on for approximately 20 minutes; rinse with warm water and, voila! You’ll have glowing, Spring-ready skin in no time. For a vegan option, you can mix the moistened green tea leaves with agave nectar or coconut oil for the same results. One of the most popular uses for tea, also a fun way to incorporate tea into your skincare routine is to create a DIY body scrub or exfoliator! For this at-home project, you’ll need only four ingredients: green tea, white sugar, olive oil, and honey. If you’re vegan or would like to avoid using white sugar, agave nectar and coconut palm sugar work wonderfully as alternative ingredients. For this recipe we recommend using Gunpowder, a bold, smoky premium green tea that is just as good in this body scrub as it is in your morning cup of tea!! Mix together 1 tablespoon of coarsely ground Gunpowder, 1 cup of white or coconut palm sugar, 2 tablespoons of honey or agave nectar, and ½ cup of olive oil. This scrub is not only great to use at home, but makes a perfect Spring-centric gift; package a few scoops in a mason jar and give it to a loved one as a sweet gesture! All natural green tea is perfect for this recipe because it’s packed full of antioxidants that will detoxify and exfoliate your skin. Our Hangover Helper blend is another sweet option, with its peppermint, rosehip, and spearmint leaves helping to invigorate the skin and provide a boost to your shower or bath routine! For those of us that have never used a facial toner or are unsure as to what its uses are, toner should essentially be the final step in your nightly skincare routine prior to the use of night creams or serums. Toner completes the cleansing of your skin by removing any of the impurities that are lingering on your skin post-wash. What’s also great about toner is that you can make a simple version of your own at home with a little bit of help from your favorite tea! As it’s Spring, we want to look fresh faced and squeaky clean, which is why we love this Rooibos toner recipe! We recommend using fruit filled, naturally flavored teas such as Blueberry Blast or Winter Orange. Steep the Rooibos tea of your choice for about 15 minutes and, while it’s steeping, add 2 tablespoons of coconut water and 1 teaspoon of apple cider vinegar into a spray bottle or jar. When the Rooibos tea is completely steeped, let cool and add it to your bottle or jar and there you have it! A homemade, all-natural toner for you to use this Spring. Potpourri isn’t just great during Fall and Winter; it can also bring floral and fruity scents into your home during Spring and Summer. You’re probably wondering, what does potpourri have to do with a list of uses for tea? Well, brace yourselves because yes, you can make your own DIY potpourri using your favorite Dollar Tea Club blends; we recommend Tropical Mango, a fruity tea whose tropical flavors of pineapple and mango smell as good as they taste; and Tutti-Frutti, another fruity tea that smells and tastes of apple, pineapple, hibiscus, strawberries, and other floral, fruity notes. You can also add a subtle fragrance using essential oils; a few scents that will freshen up your space and lend much-needed Spring vibes are Lavender, a very soothing scent, and Rosemary Oil, which has a woodsy, citrusy scent. To assemble your potpourri, simply put some your favorite Dollar Tea Club loose-leaf tea in a bowl or a jar and add several drops of the essential oil of your choosing; lightly mix the tea and oil together and allow to sit. After only a few minutes the oil will absorb into the tea and you’ll have all-natural, DIY potpourri for your home this Spring! Each of these simple yet fun uses for tea and DIY projects begins and end with your favorite premium loose leaf teas from Dollar Tea Club! We strive to help you find new and exciting flavors every month that you’ll fall in love with, including delicious teas perfect for Spring. Whether you’re using one of your current favorites or are trying something new from Dollar Tea Club, these DIY projects will liven up your skin care and daily routines this Spring season.